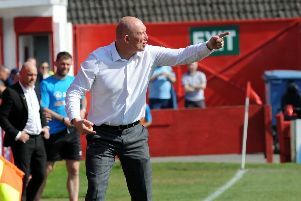 Alfreton Town continue their preparations for the 2015/16 Vanarama National League North campaign by playing their penultimate pre-season friendly tonight (Tuesday). The Reds make the short trip down the A38 to take on Evostik Northern Premier League Premier Division side Mickleover Sports. Kick-off at the Don Amott Leisure Group Arena on Station Road is 7.30pm and admission is £8 for adults and £4 for concessions (over-65s and under-16s). For fans travelling by car, the postcode for Satnav purposes is DE3 9FB.